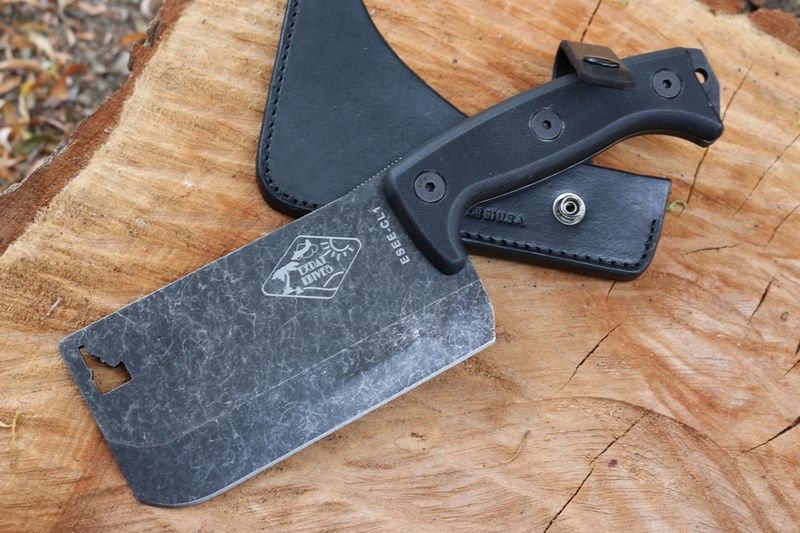 ESEE CL-1, the Cleaver is a heavy weight forward design based on the traditional meat cleaver, offering a great chopping potential for the camp and for outdoor activity's. 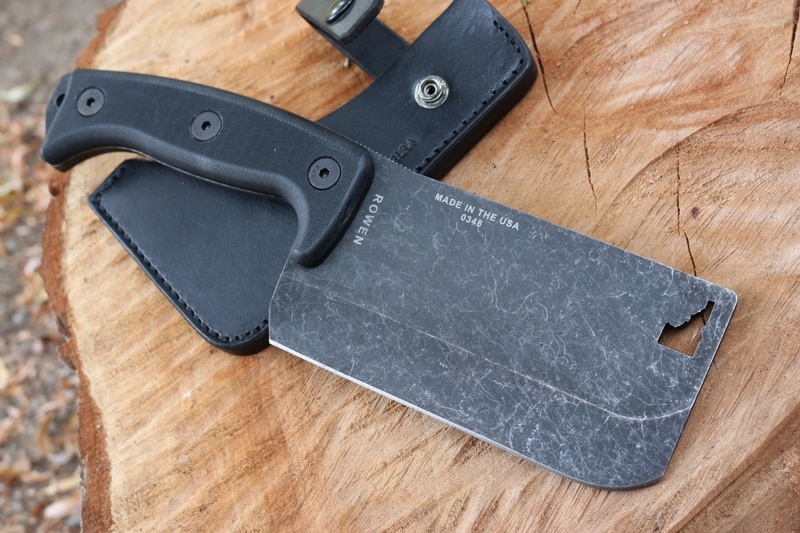 The 1095 High Carbon blade is 58HRC with a tumble oxide finish, the knife is full broad tang, black G10 slabs, 11.5 inches overall length and it weighs in at 1.5lbs. 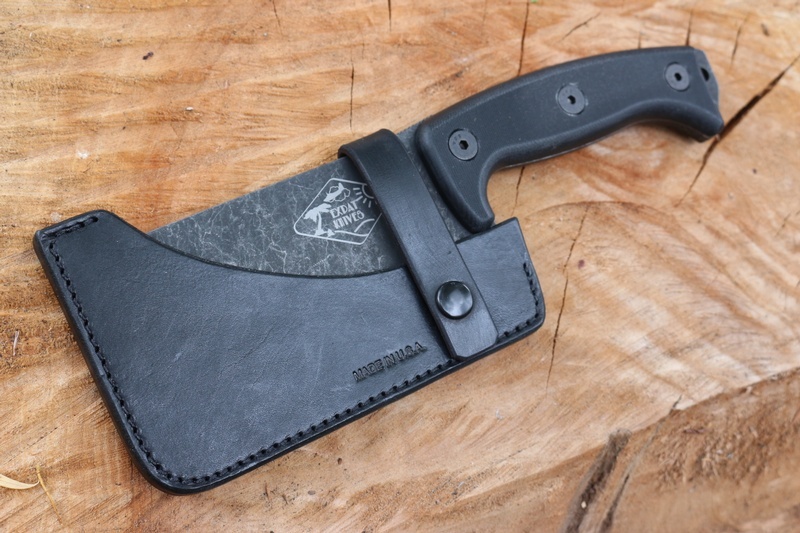 Made in the USA with the state of Idaho cut out, its comes with a quality blade cover in black leather. Blade 3/16th thick, 1095 HC Steel. Full broad tang with Black G10 Slabs. Purchase through PayPal by using the "Add To Cart" button above or use the form below to order the ESEE Cleaver . 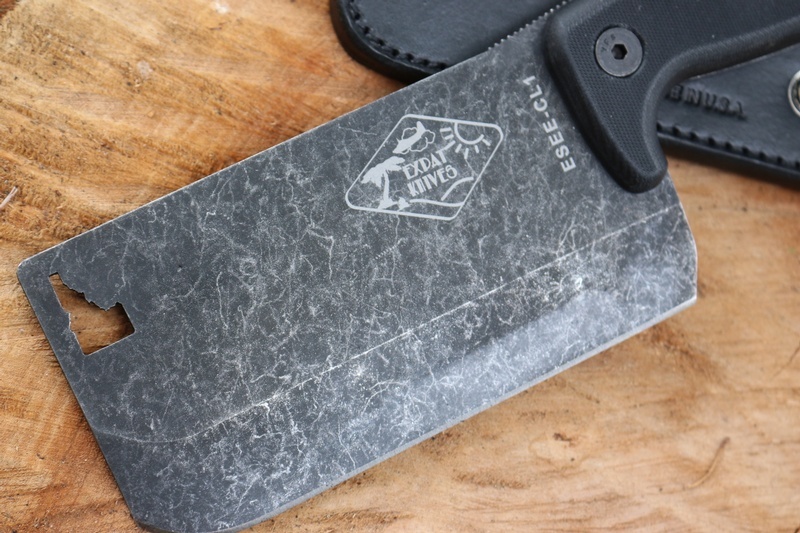 Feel free to contact us if you have any questions about the ESEE Cleaver .